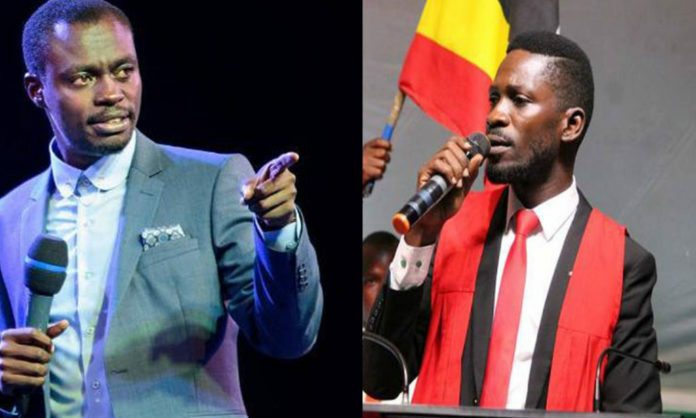 Yesterday social media went crazy after a video clip emerged showing Phaneroo senior pastor Apostle Grace Lubega criticizing Kyadondo East legislator Kyagulanyi Ssentamu alias Bobi Wine saying he is not fit to lead the country. In the four minutes video, Apostle Grace also refers to Bobi Wine as ‘a ganja man’, ‘a drug addict’, ‘a fellow of side B’, ‘a man with a side B’, a man who can’t lead this nation because ‘It deserves better’. However through their Public relations, Phaneroo Ministries denies the video saying it created out of context by propagandists and shared on social media. “This short video clip was not prepared or sent by Phaneroo ministries, and neither exists on any of our media platforms,” the statement reads in part. We shall keep you updated here at Flash Uganda media.